Another quick update of stuff I have finished in the last month. 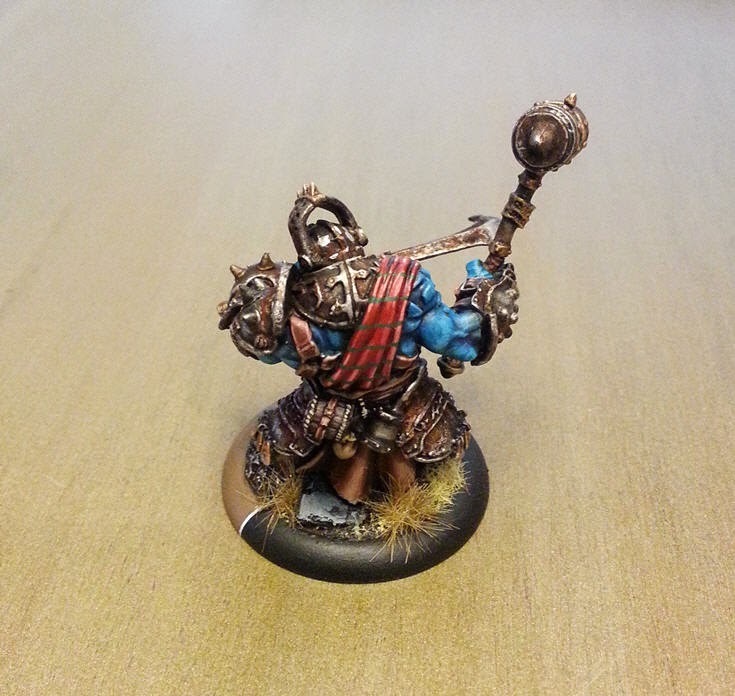 I have to say this fig is in my top 3 faves for all of Warmachine. Dont know why really, just love the posing and the overall style. His legs are insanely small, with a massive upper body. The thing I am noticing painting trolls that span the last 8 years or so (by that I mean sculpted in the last 8 years) is that the newer stuff is noticeably bigger. The Kithkar is the same size as the Impaler or Axer for example. 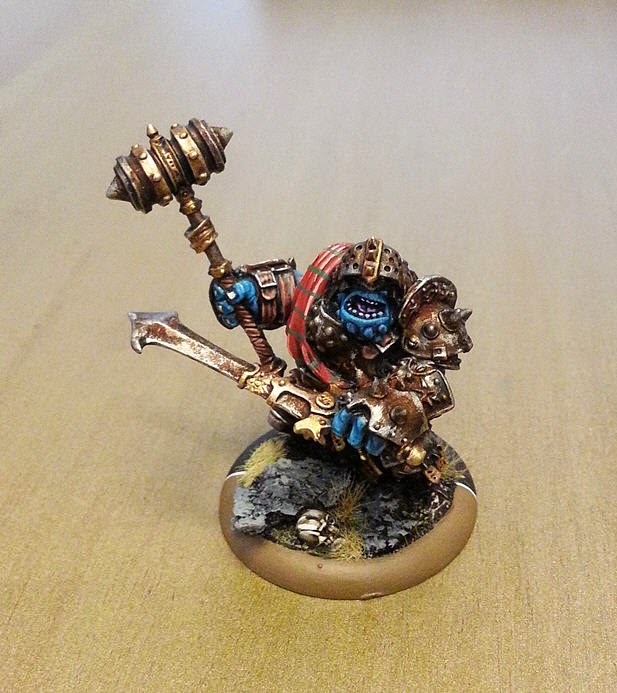 Horgle Ironstrike...Blacksmith of the Stars!